We hope you've marked your calendar to join in with our Reese Dress sew-along!! Today, we’re talking supplies, so you can gather what you need before we get started on February 9th. 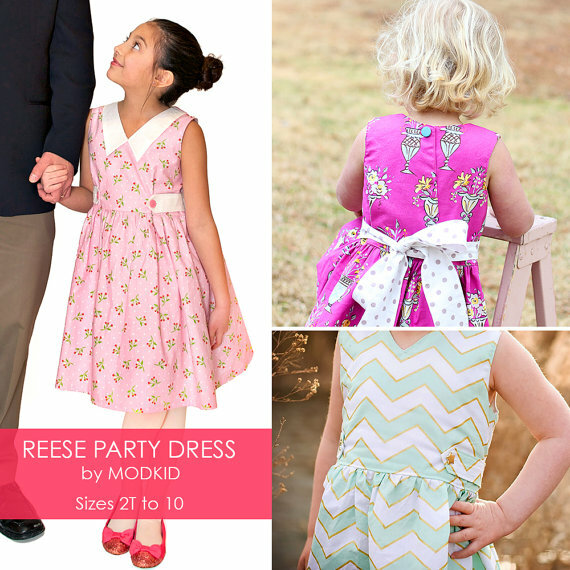 First and foremost, you will need the Reese Party Dress pattern. Remember, coupon code REESESAL2015 gets you 30% off your entire order on the Modkid Etsy store. The coupon code expires on 2/4/15 at midnight EST. Note: If you already own the Reese Party Dress pattern, Patty has made one slight update. Send a proof of purchase such as an Etsy or Craftsy receipt or transaction number to info@modkidboutique.com, and Patty will send you the update. No update will be sent without a proof of purchase. 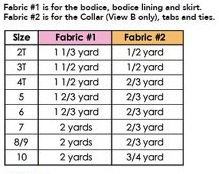 In addition to fabric, you will need (3) 3/4" buttons and a 1/4 yard of medium weight fusible interfacing. Pattern bought! now to pull fabric from the stash... so excited to make this pattern. So glad you can join us! !